These winter evenings have been downright chilly lately! Chilly nights call for cozying up under a comfy throw blanket while watching a good movie and sipping some delicious Instant Pot Mexican Hot Chocolate! Naturally Sweetened with Hints of Orange Zest and Cinnamon! This delicious hot chocolate is naturally sweetened with honey and flavored with both orange zest and cinnamon making it a truly decadent and tasty comfort drink. It also has a little kick provided by a hint of cayenne pepper! 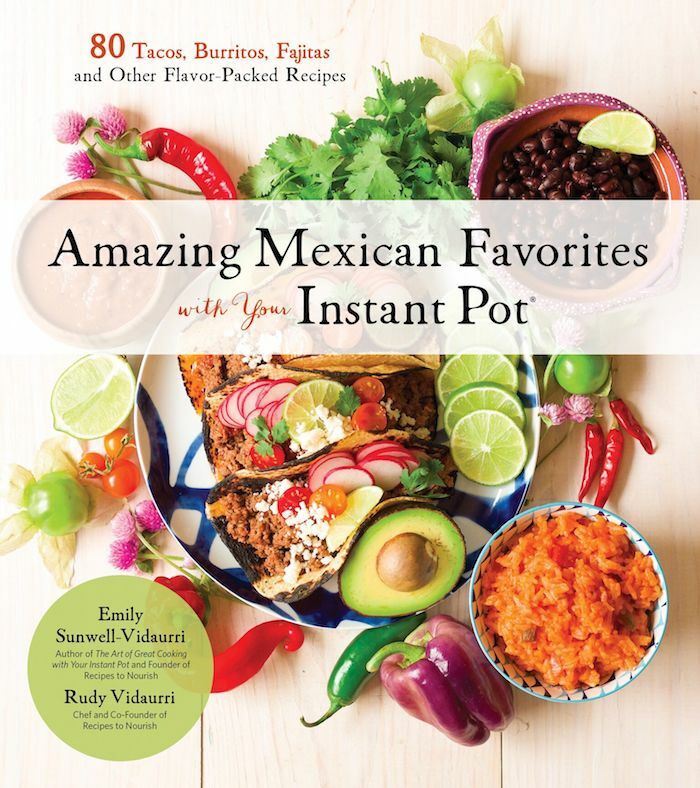 The recipe is shared by our friends Emily and Rudy from the blog Recipes to Nourish and is featured in their new cookbook Amazing Mexican Favorites with Your Instant Pot! AMAZING MEXICAN FAVORITES WITH YOUR INSTANT POT! If you don’t have an Instant Pot yet, you may wish to remedy that stat! The Instant Pot is a time saving machine, as well as a pressure cooker, steamer, rice cooker and slow cooker. It’s perfect for busy couples that want to eat healthy foods but don’t have a lot of time to spend in the kitchen. In most cases, you prep the food, put it in the pot and walk away while the Instant Pot does all the work. And if you are a couple that loves Mexican food, you’ll definitely want Amazing Mexican Favorites with Your Instant Pot! 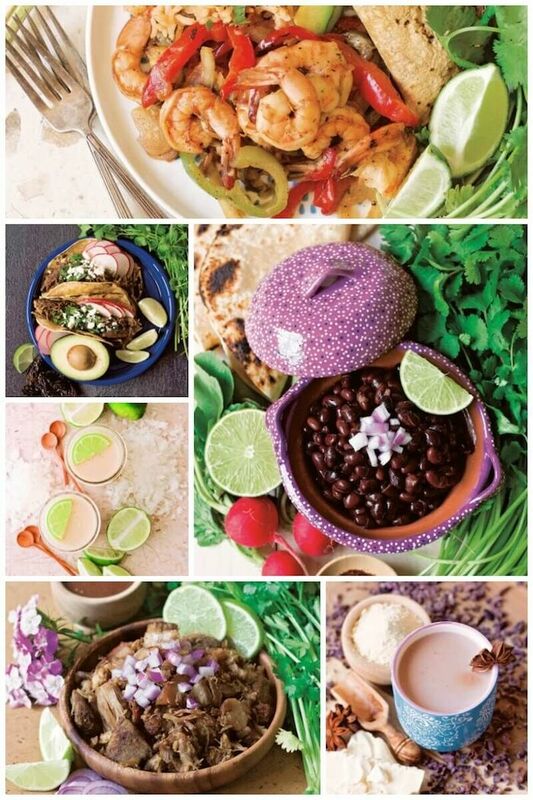 Amazing Mexican Favorites with Your Instant Pot contains 80 real food recipes you will love. And just look at all these gorgeous recipes: shredded beef barbacoa, carnitas, chili verde, soups, beans, tacos, mole, hot chocolate and more! Let’s Talk About This Hot Chocolate! originated in Mayan and Aztec civilizations when they began cultivating the cacao tree. We use actual Stoneground Mexican chocolate from Taza in this recipe but you can also use good quality bittersweet chocolate chips. Why Make it in The Instant Pot? You could make this recipe on your cooktop, so why use the Instant Pot? The Instant Pot allows you to walk away without any tending to the recipe. You can simply add the ingredients, set the timer and go do other things. And the Instant Pot will keep your hot chocolate warm until you are ready to drink it. Serve as is, or top with whipped cream, marshmallows, shaved chocolate or all if the above! Tips and what you need: Stoneground Mexican chocolate from Taza or good quality bittersweet chocolate chips. and an Instant Pot . Bold and creamy with the aroma of cinnamon, chiles and citrus, this luxurious hot chocolate originated in Mayan and Aztec civilizations when they began cultivating the cacao tree. Of course you can make this recipe on the cooktop if you prefer and a dairy version is offered! Add the milk, cream, chocolate, honey, vanilla, cinnamon sticks, cayenne, salt and orangezest to the Instant Pot. Place the lid on the Instant Pot, making sure the steam-release valve is sealed. Press the “Manual” button and set to “Low Pressure” for 2 minutes. When the Instant Pot is done and beeps, press “Keep Warm/Cancel.” Using an oven mitt, “quick release”/open the steam-release valve. When the steam venting stops and the silver dial drops, carefully open the lid. Stir, discard the cinnamon sticks and serve immediately. You can use the "keep warm" feature if you wish to serve later or reheat using the "saute" feature. Notes: If you prefer a sweeter flavor, add an additional tablespoon (21 g) of honey. This recipe can easily be doubled or tripled. Looks like the perfect warming treat for these cold winter days! Love the addition of cayenne! full on drool, have to make this! The flavor combo!! Mexican hot chocolate is one of my winter favorites! This looks so delicious and cozy. Perfect on a cold night! This is GORGEOUS Linda! I can’t wait to make this – I have loved reading through this cookbook! We have another snowday today so this is very much on my list to make! So many great recipes right?? I’ve got to make this soon! I’m so honored that you shared this recipe! It’s a favorite in our home, especially this time of the year. Gotta love that drinking chocolate! Gotta get me some stone-ground Mexican chocolate asap! This sounds so yummy! Such a gorgeous book AND recipe! Yum! Love the addition of orange zest – great idea. And that’s such a good point about using the IP for this – you can just walk away and it’ll be ready whenever you are. Can’t wait to try some of the recipes in the book! Loving the sound of all of the flavours in this, particulalry the orange zest! What a fabulous recipe. I love that cookbook very much, too! O my, those marshmallows. Love it. would eat them all before taking any pictures. I haven’t had Mexican hot chocolate with cayenne in years, but this looks so tempting! This is a fantastic recipe for that family night or to enjoy in a good company of friends. And it is definitely something to enjoy on the weekend. I can imagine how comforting and warm this chocolate is, and how fun it is to make it, too. So excited to give it a try soon! This looks amazing! I love that you can make it in the Instant Pot. I would not have thought to make hot chocolate in an Instant pot, but this sounds like a must try! Yum! I totally agree with you that it’s nice to be able to set and forget the Instant Pot instead of using the stove-top method. This hot chocolate looks incredible – I love a little spice in my chocolate.